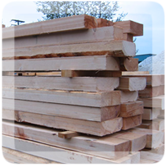 Established in 1972, Probyn Export Ltd. is a leading Canadian exporter of lumber and wood related building products to buyers in most major markets around the world. Located in Vancouver, BC, Canada, our focus is on the export of softwood lumber species such as Hemlock, Douglas Fir and Western Red Cedar, to name just three species. Our company sells a vast range of products including old growth clears, dimensional lumber, engineered door and window parts, panelling, stair parts, mouldings and millwork as well as a full range of pressure treated construction lumber. Our roots within the British Columbia and Washington state lumber community go back three generations. With an established network of log suppliers and sellers, sawmills, brokers and global importers, Probyn Export has the ability to deliver high quality Canadian wood to anywhere in the world, and to reach the right buyers for your manufactured wood products. Probyn Export is a member of The Probyn Group, a privately owned group of related forestry companies.